We are glad to once again stand in Boston’s digital marketing spotlight. 2019 has only just begun and we are already seeing the results of our transparency and commitment to client success. 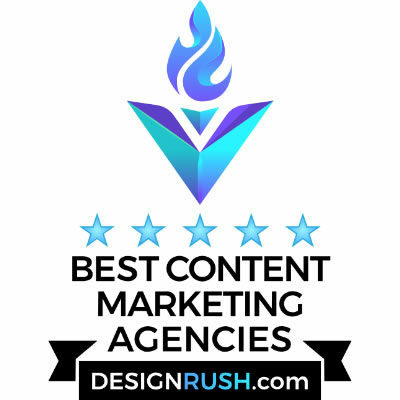 This time, we have been recognized as a top Content Marketing Company on DesignRush. DesignRush, a B2B marketplace connecting brands with agencies, is a trusted guide to finding the best professional agencies in the US, categorized by their areas of expertise. By analyzing and ranking hundreds of agencies, DesignRush helps companies find and choose the right SEO company, web design firm, content marketing or full-service digital marketing agency, that can provide a strong return on investment in the form of long-term business growth. Our inSegment digital advertising agency has been included in the Top Massachusetts Content Marketing Agencies & Copywriting Services Of 2019, following our dedication in providing our clients with holistic digital marketing strategies that promote key pieces of content that drive awareness and encourage audience engagement. Thank you to DesignRush and our clients for your continued support. To companies looking for a premiere full-service digital marketing agency in Boston, we invite you to contact inSegment and learn more about our services. Has the Internet Inspired a New Religion?